Alameda County continues to invest heavily in jail cells while failing to put public safety funds toward critical social services for the formerly incarcerated. Tyan Bowens said reentry programs like Pathways 2 Resilience deserve more funding. Andre Wiley knows how hard it can be for formerly incarcerated people to rehabilitate their lives and find housing and employment. 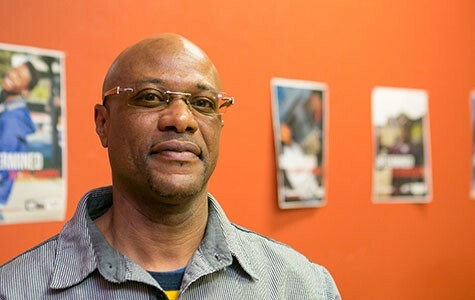 Since he was released from prison in 2012 — after spending two decades behind bars for a gang-related crime — the 45-year-old Union City resident has worked to make the reentry process easier for former inmates in Alameda County through his organization Timelist Group. Wiley, who is the nonprofit's director, and a group of volunteer staff provide job training, mentoring, and other services to help formerly incarcerated people turn their lives around. "When these programs are in place, it's like having someone hold you by the hand versus being in a dark place and not knowing what direction to go," he said. But because Timelist has such minimal funding, Wiley and his colleagues often don't have the capacity to support all the residents who seek their help in south Alameda County. And last year, he said, the Alameda County Probation Department declined to consider his request for $58,680 annually to help with basic staffing and operational expenses despite the fact that the county has tens of millions of dollars allocated for reentry services and contracts with community-based organizations. In recent months, Wiley and other advocates have grown increasingly critical of how Alameda County spends its public safety dollars, arguing that officials have failed to invest in vital social services even though the county has access to large revenues for these types of programs. The conflict centers on the county's Public Safety Realignment budget, which is the funding that became available through the 2011 passage of Assembly Bill 109, a major criminal justice reform initiative backed by Governor Jerry Brown. Aimed at overhauling California's failing and costly prison system — one plagued by overcrowding and high recidivism rates — AB 109 made non-violent, low-level offenders the responsibility of counties instead of the state. The realignment initiative provided counties with new funding for their jails and for programs targeting reentry and alternatives to incarceration. But over the last three years, Alameda County has spent the majority of its AB 109 funding on the Alameda County Sheriff's Office, which runs Santa Rita Jail, while investing comparatively little in community-based programs and services. In addition to frustrations with the relatively high jail expenditures, activists have also raised questions about the effectiveness of the county's limited investments in social services. In some cases, the county has failed to even spend the money it has allocated for important services and has been very slow to award contracts to community-based groups, according to financial records. "These are really important services. ... Why aren't they doing a better job spending this money?" said María Domínguez, an organizer with the Ella Baker Center for Human Rights, an Oakland-based nonprofit that has launched a "Jobs Not Jails" campaign to urge Alameda County to allocate more realignment money toward community-based programs. "By continuing to fund the sheriff's office, it's giving them an incentive to fill their jail beds," she said. In the first realignment budget (for fiscal year 2011–12), Alameda County spent 77 percent — nearly $12 million out of $15 million total — on the sheriff's office, mostly for Santa Rita Jail costs, according to data from the Community Corrections Partnership Executive Committee, the government body charged with implementing AB 109. Roughly 8 percent of the funding went to county behavioral health services, including mental health and substance abuse treatment, and the rest went to three other county agencies — the probation department, the public defender, and the district attorney — to fund staff and services geared toward the realignment population. (A small fraction, less than 1 percent, went to one community-based social services nonprofit). In fiscal year 2012–13, the budget increased to $31 million and the sheriff's office again received the lion's share — $21.6 million, or 69 percent. That year, the county spent $4.7 million, or 15 percent, on community-based reentry services and programs, including housing and job training efforts and behavioral health services. And in fiscal year 2013–14, the sheriff's office received 62 percent of the total $32 million budget while community programs and services received roughly 19 percent. The county is currently considering a new AB 109 budget proposal that would essentially maintain those same ratios. Advocates, however, are pushing for at least 50 percent of the AB 109 money to go to community-based services moving forward. 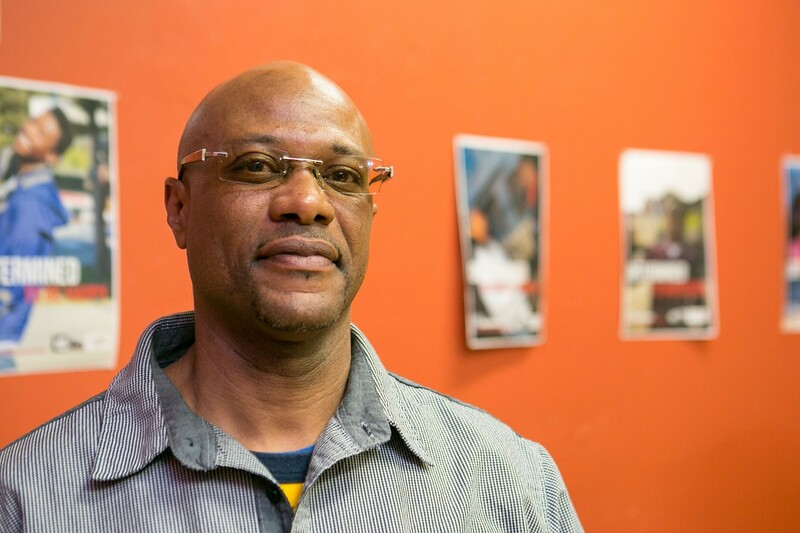 "These programs work — they just need more funding," said Tyan Bowens, a formerly incarcerated West Oakland resident and participant in Pathways 2 Resilience, an entrepreneurial reentry program that received an AB 109 grant. "A lot of people would probably turn back to what they used to do if they didn't have a program like this." The future budget aside, Domínguez's analysis of the 2013–14 allocations and expenditures reveals that the county has failed to spend money that it budgeted for the most important services. As part of its 2013–14 budget — approved by the Alameda County Board of Supervisors — the county allocated $3 million for education and employment services. But because of delays in awarding contracts, the county spent zero dollars on employment and education contracts during that fiscal year. And while the county allocated $750,000 for housing, it only spent a little more than half of that money — roughly $421,000. Advocates also say they are troubled by the fact that the county appeared to be using the low expenditures as a way to justify further cuts in allocations. In a proposed budget now under consideration for 2014–15 (the fiscal year is already underway, but the county has yet to approve an official realignment budget) the county has proposed allocating only $425,000 for housing, in part based on the under-budget spending in 2013–14. "This is about getting people before they experience homelessness," said Louis Chicoine, executive director of Abode Services, a Bay Area nonprofit that has received $464,059 since January 2013 from the county's AB 109 budgets to help find housing for people reentering society. Abode has used the realignment funding to secure housing for a total of 128 people, and most are still in their housing today (only eight returned to jail or prison). Chicoine said he hopes the county does not cut funding for housing services. "It's incredibly costly to the county to let people become homeless," he added. "This is about whether you react to a problem, which is what the sheriff does, or whether your prevent problems, which is what those of us in the community do on a daily basis." County officials have argued that the failure to spend the entire housing budget is a reflection of low demand and that they are serving everyone who falls under realignment and seeks the county's help. "If there's a housing need that we can point to, we make sure it gets filled," said LaDonna Harris, the county's chief probation officer, arguing that advocates were overstating housing needs. Unspent money for programs and services, she said, has rolled over into a "trust fund" — a reserve that the county plans to utilize if the housing budget fails to meet people's needs. Regarding the slow pace of investing in education and employment services, Harris said the probation department didn't know how to contract with outside organizations that provide these programs. "We did have some difficulty getting the money out the door," she said. The county ultimately approved four contracts with outside organizations for job training services for fiscal year 2014-15, and those programs are now underway. The discussions about education opportunities, she said, are in the early stages and no specific contracts are currently in the works. In response to criticisms from organizations like Timelist regarding the lack of funding, Harris said the county can't tailor its allocations to individual proposals written by organizations. She added: "We're all working very hard to get this right." Harris and other government leaders on the AB 109 executive committee said they recognize that the county needs to collect better data and analyze the effectiveness and impact of its programs. "None of us on the [executive committee] is satisfied with the pace and timing of the procurement process," said Alex Briscoe, director of Alameda County Health Care Services Agency and member of the executive committee. "I'm hopeful that it will get better." The sheriff's office has argued that its expenses are mostly driven by the costs of housing inmates at Santa Rita Jail and that it's working to integrate programs within the jail that prepare people for successful reentry. Assistant Sheriff Brett Keteles said that because of the office's antiquated data systems, he could not provide statistics on how many total people have been served by the sheriff's realignment funding since 2011. He said that there are usually about 250 to 300 inmates in Santa Rita Jail that fall under AB 109, and that it costs an average of $135 daily to house an inmate. AB 109 expenditures reveal that the sheriff's office in 2013-14 spent more than $20 million total on realignment — $2 million above its $18 million allocation. Beyond the direct costs of housing offenders, Keteles said additional funding goes to various reentry programs and services within Santa Rita Jail. "We're always the big elephant in the room because of the high costs," Keteles added. "But the fact of the matter is there are some people who need to be in custody, and it's expensive to keep people in custody."